Sometimes life throws a curve ball at us. When it does, it can be hard to find any peace or happiness for a time. Life becomes a struggle. But there is a way to get out of it. It takes only a moment in time. Start by observing what you are going through. Don’t try to change it. Don’t act on it. Don’t judge it. Just observe where your thoughts are taking you and what feelings you are having. Then, slowly and gently, make a conscious effort to look at something else in the room or outside. Pay attention to one item. It could be as simple as looking at a chair or a picture hanging on the wall. Really look at it, as if seeing it for the first time. Look at the tiniest details. Don’t judge it. Just observe. Then, listen to any sounds that you hear around you. Perhaps it’s a clock ticking, the fridge humming or a bird chirping. Put all your attention on the sound. Again, just observe. Just listen. Then, take a brief moment to give gratitude to whatever you observed – yourself, something in your home, office or outdoors, the sound. Do this as often as you like throughout the day. Take only a few seconds to start with, then eventually allow it to expand into longer periods. Observe the change over time. Be gentle with yourself and know that it’s all good. Last night I experienced the comfort and loving sounds of what it must have been like to be in the womb and hearing my mother’s heartbeat. It was during a community drumming circle where about 50 or 60 people were sitting in ever larger circles. Each person had a drum to play and were instructed to drum a heart beat. I was invited to lie on a yoga mat with 8 other people in the center area for what was called a “rhythm cradle.” I closed my eyes and could hear the heartbeat around me. More than that, I could feel the vibration of the drums throughout my body… all in time to the heartbeat. Then people with native hand drums began to drum over top of my body. I could feel the power of the drum literally coursing through my feet, my legs, my arms, my entire body. Two men playing didgeridoos in the background came over and played their instruments right into my body. I could feel the rush of air and feel the amazing vibrations going right to my core. I lied there for a few minutes. The sensation was so powerful. If you live in an area that has a drumming circle, go experience the healing sensations of the drum. 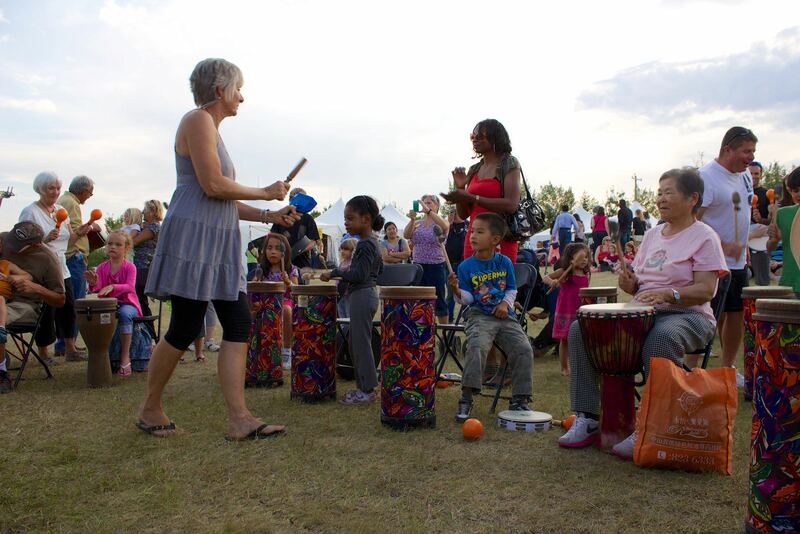 In Calgary, Alberta we are so fortunate to have Judy Atkinson’s Circles of Rhythm. I recently had an audience with Zen Master Nissim Amon of Israel. To say it was enlightening experience is an understatement. He shared six spiritual paths and encourage us to go out and share them with others. Therefore, I am sharing these paths with you as I interpreted them. Ponder a question over time (years) without answering it rationally. BE the answer. Question to ponder: A million things return to one. What does one return to? Remember: It is all good. This brief list pales in comparison to sitting and listening to Zen Master Nissim Amon explain each path. My hope is to provide a glimpse into his teachings. If you have the chance to spend time with Zen Master Nissim Amon, I encourage you to do so. It will be a profound and life changing experience.